Every year in October, the Rock & Roll Hall of Fame releases a shortlist of nominees for induction, and this year’s choices are surprisingly strong. While they can’t nor won’t please everyone – cue the anonymous commenter who is angry that The Moody Blues or ELO or Styx got snubbed again, or that rap doesn’t belong (it does) or so on – the Hall’s offers several possibilities for a strong induction class. It can be argued that Rock & Roll Hall of Fame as a concept is a bit ridiculous at its core, but it’s always been a good discussion starter like any hall of fame, good or otherwise. 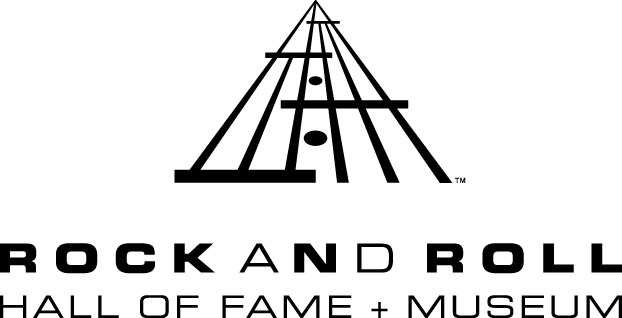 The nominees for the 2016 class of the Rock and Roll Hall of Fame are diverse lineup that covers nearly every genre of rock music: The Cars, Chaka Khan, Cheap Trick, Chic, Chicago, Deep Purple, Janet Jackson, The J.B’s, Los Lobos, Nine Inch Nails, NWA, The Smiths, The Spinners, Steve Miller and Yes. In December, six of those artists will be announced as inductees. TYF Writers Ryan Gibbs, Jon Winkler, Matt Rice, Kevin Montes and Joey Daniewicz (the latter of whom corresponded with us through email) engaged in a roundtable chat about the individual nominees and what they think about the Hall of Fame as a whole. In addition to our comments, we made a Spotify playlist featuring songs from each of the nominated artists, which you can find on the last page. Ryan Gibbs: What are your thoughts on the Hall of Fame in general? Kevin Montes: I never really started paying attention until Run-DMC was inducted by Eminem. Ryan: I think the original idea had the best intentions, but it’s become a little more dubious every year out. There’s been as many puzzling inductions (Laura Nyro? Paul Butterfield Blues Band?) as there has been snubs (and not just from artists who were nominated). Kevin: I was surprised when I saw Green Day got inducted recently, mostly because I forgot they are that old. It was also puzzling ‘cause didn’t they get in on the 25th year rule? Ryan: Yeah, their debut EP (1000 Hours) came out in 1989, and their debut album (39 Smooth) the following year. Ryan: I thought last year’s class, where the nominees that didn’t get in would have actually made a better class than the ones that did, was the ultimate nadir of this thing. Hopefully, they can rescue themselves with this year’s quite good nomination class. “hopefully” and “rescue” in big scare quotes. Kevin: I mean depends on who you’d be content with being left out in the end. I was discontent with A Tribe Called Quest’s snub. Matt Rice: Adding more diversity to the nominating committee might make me care more. Jon Winkler: Hall of Fame has some glaring snubs (early metal bands like Purple and Priest), but they’re fine. Matt: Doo-wop is hard to judge on a group-by-group basis, unless you’re talking about major groups like The “5” Royales. So many of the best doo-wop tunes are by different artists. Kevin: But I mean they call it the Rock and Roll Hall of Fame, I guess they like sticking to the name. Ryan: Rock & Roll can include all kinds of music, not just white boys strumming guitars. Jon: I’m just glad Kiss and Rush got in recently. They always deserved it. Kevin: Honestly, I never cared for Hip-Hop to be in the Rock and Roll Hall of Fame. There’s so much to it that I think it needs it own Hall of Fame. Jon: I agree there should be a Hip-Hop HOF. Matt: Eh, I don’t think hip-hop should be othered, especially when so much of it is tied to rock and roll. Kevin: It’s tied to so many things. Ryan: Ok, so let’s start with this year’s nominees. Late 70’s and early 80’s new wave power pop icons led by singer-guitarist Ric Ocasek and late bassist Benjamin Orr. Known for hits such as “My Best Friend’s Girl” and “You Might Think”. This is the first time they have been nominated, but they have been eligible since 2003. Ryan: First off alphabetically, we have The Cars. Kevin: I’ve honestly never heard any of their music. Kevin: I actually don’t! It’s sad. Matt: I’ve never explored their albums much, but I do love the obvious songs. Jon: The Cars are one of the best examples of pop rock. Ryan: They’re an interesting choice to pick for a new wave act when they’ve largely ignored the genre for so long, but I think it’s understandable. They had a solid run of hits. Ryan: And their videos of off Heartbeat City, while they haven’t aged well at all, were very innovative for their time. Matt: And I heard “Drive” a lot on classic rock radio before I even knew who The Cars were. Ryan: What do you think their chances are for induction? I’m not particularly holding out for them because the rest of the acts are so strong. Matt: I’d rather they get in than Yes and Chicago. Matt: But I’m not sure what their chances are. They’re a major band, but the HOF can be unpredictable with which major bands they choose to induct. R&B singer-songwriter who scored several hits in the 70s and 80s both as a solo act and as the lead singer of the funk group Rufus. Solo, she is best known for classics like “I Feel For You”, “Through the Fire” and “I’m Every Woman”. Rufus With Chaka Khan was nominated once, in 2012. This is the first time Khan has been nominated by herself. Jon: “Ain’t Nobody.” Need I say more? Ryan: Nominated this year just for her solo career interestingly and not with her funk band Rufus as with previous years. Jon: Yeah, I don’t think she’s getting in. Ryan: Questlove, who is on the nominating committee, was really pushing for her inclusion this year. Jon: I wonder if he pushed Tribe at all? Kevin: I wouldn’t be surprised. Tribe’s Jazz influence was widespread. The Roots incorporated more percussion than Tribe, but the jazz sampling influence was retained. I wouldn’t be surprised if he did. Ryan: Rufus has two songs that have really endured: “Tell Me Something Good” and “Ain’t Nobody” from the very beginning and very end of their careers. I seriously think “Ain’t Nobody” is one of the best final singles in rock history. Matt: Chaka Khan was an artist my mom introduced me to when I was a kid, and initially I wasn’t as receptive to her as I should have been. I love most of what I’ve heard from her. “I Feel for You” is major, and the Rufus singles you named as well. Ryan: I think it might have been a better idea for them to nominate Chaka solo, she might have a better chance at an induction as just her. Ryan: I consider her kind of a dark-horse candidate for induction out of this class. She’s been nominated before and has a very big, respected name on the committee as pushing for her. Voters might finally get her in. The pride of Rockford, Illinois, Cheap Trick are probably the first band most people think of when they hear the term “power pop.” The band’s bright, Beatles influenced hooks and hard rock guitars made them stars in the late 70s, particularly in Japan. As time has gone on, the rock press that were initially wary of the group have come to adore them, and they retain a sizable cult following to this day. The band’s best known songs include “I Want You To Want Me” and “Surrender.” This is the first time Cheap Trick has been nominated, despite being eligible since 2002. Kevin: I WANT YOU TO WANT ME. It took me a while to believe that was them. Cause I’ve only heard their more rock-ish tracks beforehand..
Jon: Another example of awesome pop rock and another hugely influential band. Ryan: Probably the ultimate power pop band? Like, unless you’re a huge fan of Big Star or The Raspberries that is. Matt:. I’d go with Big Star over them, just because Radio City is so perfect. Kevin: I really like Cheap Trick. Matt: “Surrender” is one of my favorite songs of all time.”If You Want My Love” is one of my favorite Cheap Trick songs, even though it was ruined by Joe Dirt. Jon: Cheap Trick has inspired a lot of 90s bands like Smashing Pumpkins and Foo Fighters. Plus, their work ethic is stellar. Kevin: Smashing Pumpkins are in my top 5 of all time, so I guess I should thank them for that. Ryan: I think Live at Budokan is masterful accomplishment of a live album that really showed what they could do as a band. And to this day, they’re still known as a formidable, strong live act. Jon: I think they’ve deserved it for a while. Jon: Same. They’d be a popular choice. Kevin: Honestly, I haven’t heard past their first three albums, but I loved their sound. Good to see them on the list. Ryan: Their 80’s material is often shaky, and might be what works against them, but they rebounded strongly in recent years. I really like the album they put out a few years ago, The Latest. On page 2, check what we think about Chic, Chicago, Deep Purple and Janet Jackson’s chances at induction. Previous ArticleTV Throwback Review: Party Down (1x09) "James Rolf High School Twentieth Reunion"